European Cubicles is a full service turn-key organization supplying exceptional quality restroom cubicles, accessories and installation. In 2011, European Cubicles introduced European Style Cubicles to the North America market promoting high privacy, high quality public restroom toilet compartments. They work closely together with architects, designers, general contractors and building owners from early design phase through completion of a project. GoingClear Interactive designed and developed European Cubicles new website. 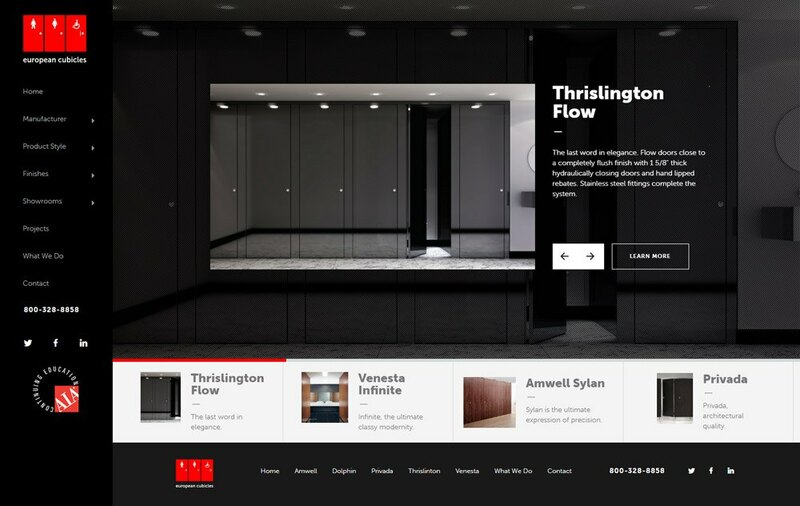 The new site is sophisticated and sleek, with high resolution photography and optimized images for faster page speeds. 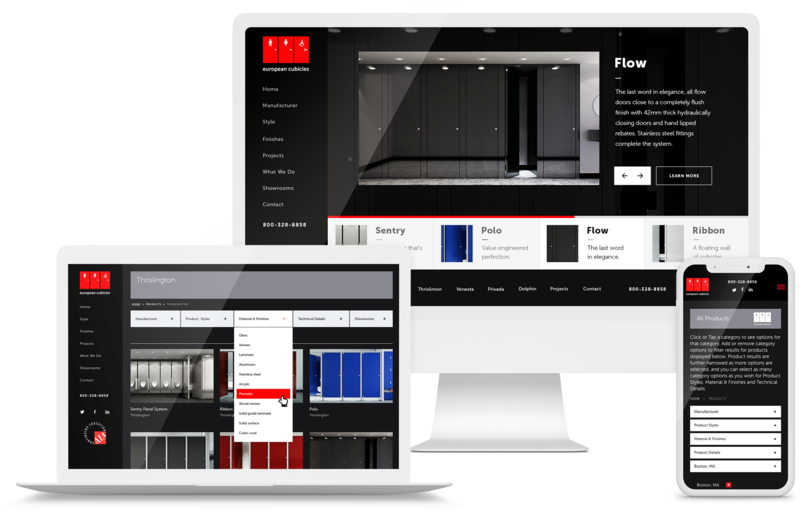 One unique feature we developed is the new Product filter on the left side of the site, which has the ability to filter and sort products by Manufacturer, Product Styles, Materials, Finishes, Products Details and Showroom Locations all at the same time! We also incorporated vendor logos on all product page headers when filtering by Manufacturer so visitors will have added reassurance about which products they are viewing. 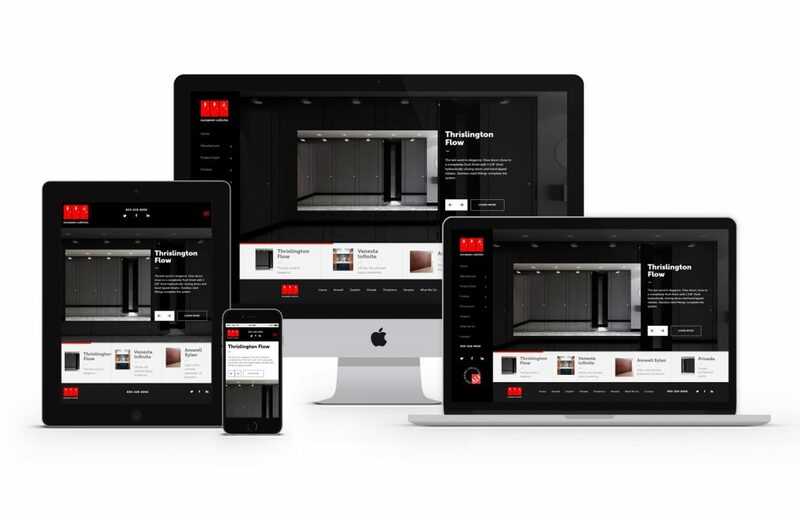 The website was built using WordPress as the CMS (Content Management System), which will allow the client to easily make updates to pages like Projects. It's also responsive, using the framework Twitter Bootstrap, so it looks great on all devices. This includes the Contact and Project pages which both include responsive Google maps.